The new Flying Spur is expected to make its global debut by the second half of 2019; most likely to feature a new PHEV powertrain as well. After updating its Continental GT product portfolio (both V12 and V8 versions), Bentley is now focussing entirely on prepping the new Flying Spur for its commercial debut. For those not aware, the Flying Spur is essentially a mature, four-door version of the hotter Continental GT coupe. Building up to its launch, Bentley has officially revealed teaser images of the new four-door. 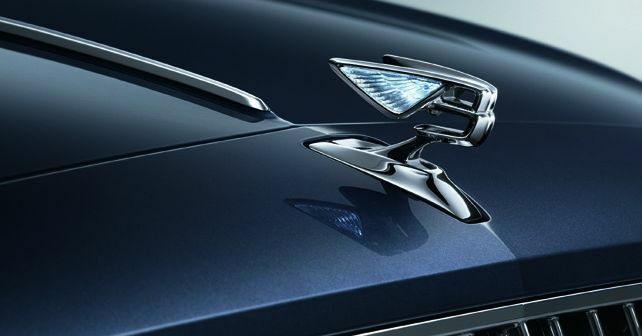 While one image shows the new Bentley logo on the Flying Spur, the other is an outline sketch of the car's overall silhouette. While not much is expected to change in terms of bodywork, the more interesting aspect about the new Flying Spur is that it is expected to arrive with a plug-in hybrid (PHEV) powertrain for the first time. This has also been verified by Bentley's CEO Adrian Hallmark. Due to the fact that it will be underpinned by VW Group's MSB architecture (also found under the Porsche Panamera), it is being suggested that the Panamera's PHEV powertrain is most likely to be lifted as well, to be used in the Flying Spur. More specifically, the twin-turbo V6 hybrid system already in use in the Bentayga Hybrid and the Panamera 4 E-Hybrid. However, reports suggest that the new electrified version is likely to accompany the existing old-timers, the 6.0-litre twin-turbo W12 and the V8 versions. Further, the Flying Spur will also inherit Porsche's eight-speed dual-clutch automatic gearbox. Our Italian partner Quattroruote also managed to catch the prototype of the new Flying Spur during its winter test.